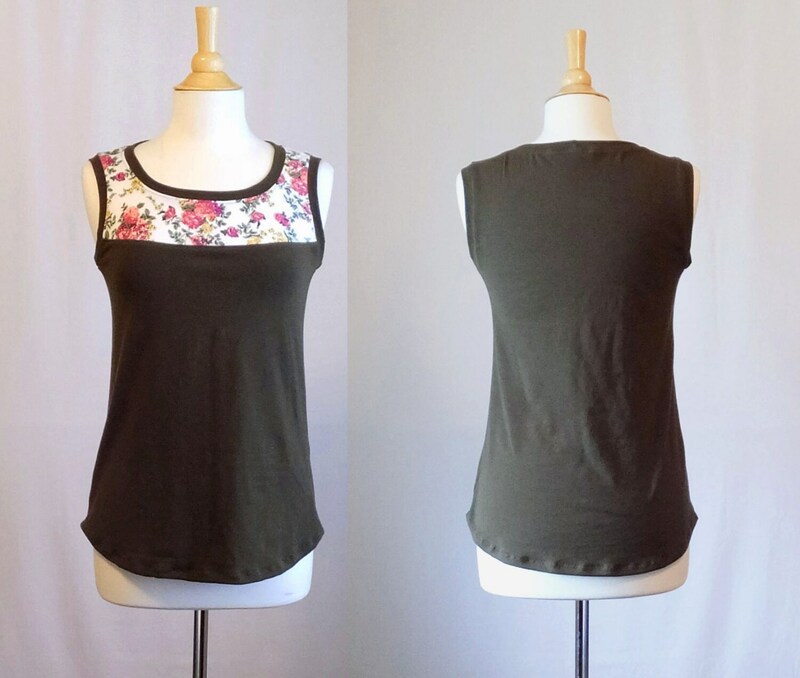 Soft cotton jersey floral yoke tank top. 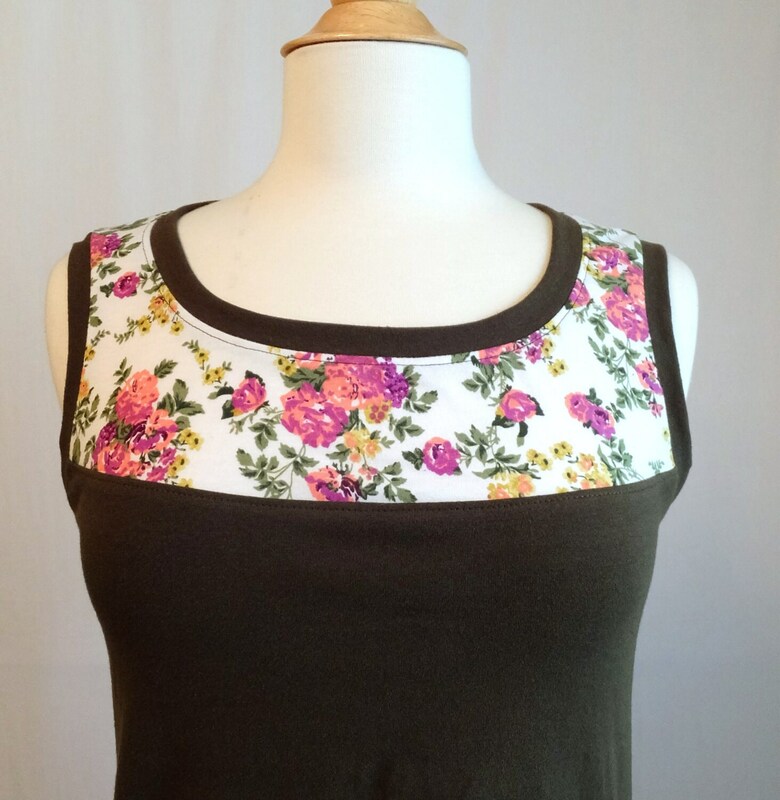 This is a nice basic tank with a sweet little floral yoke in front. 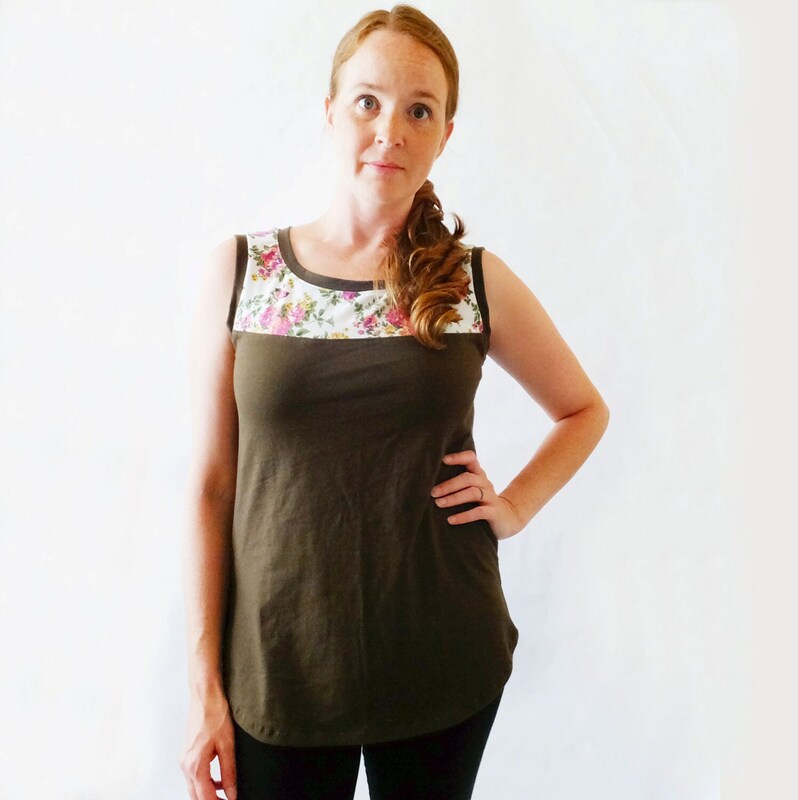 The hem is a shirttail hem which curves slightly in front and back. The fit is more fitted at the bust with a slight aline out to the hip. 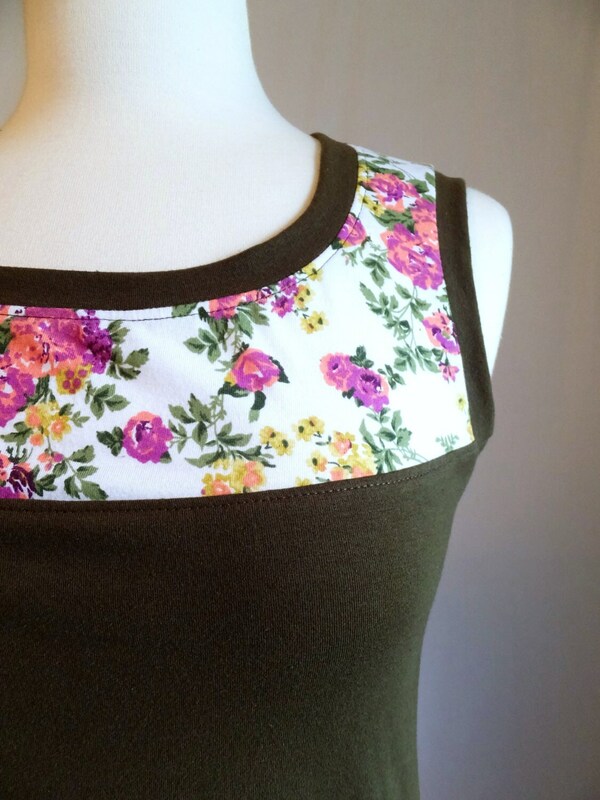 The color shown is Olive green with a white, plum, pink, green, mustard floral yoke. Length from shoulder to hem is 25"